You work hard to make your business a success. In today’s dog-eat-dog world, it’s not always easy to balance all of the competing demands while simultaneously protecting your most critical asset – your staff. The good news is that keeping your team safe from workplace injuries not only benefits your company’s culture, but it keeps your workers’ compensation insurance premium to a minimum. If you were given the opportunity to introduce a program that would both keep your employees safe and reduce your premium, would you take it? Work First Casualty can give you that opportunity. You see, Work First specializes in providing workers’ compensation for home health companies, and we came to the understanding that applying our proprietary Incidence Rate Reduction program is the one thing you can do to really make an impact. 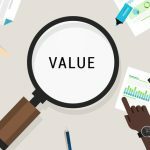 Adopting a program like this is possibly one of the most important business decisions you can make for your organization. Why Is It Important to Reduce Injuries? There is one obvious answer to this question – you don’t want to see your employees get hurt. In addition to this primary reason, there are important secondary reasons. Keeping your staff safe and healthy improves patient satisfaction. Patients can rest assured knowing that their caregiver will be on schedule, every time. There is also a money saving component; you will reduce your workers’ compensation insurance cost if you reduce injuries. All too often, we see the leaders of organizations leaving the health and safety of their employees to chance. Sure, you probably conduct a safety training session, telling people how important it is to be safe, and then leave it at that. The question we pose has to do with taking action. What are you actively doing to keep people safe? Wouldn’t you like the people in your company to extend beyond themselves and become part of something better? When you implement this program, your employees will be working together toward a goal that will benefit the entire company. Some old habits may have to change, but that’s a good thing. It will indicate progress toward a mindset of safety that will enhance employee morale and customer service. Ultimately, it will help you attract and retain the best team. As your company implements some of these changes, people will look upon your employees and be impressed with their conduct. The best long-term benefit of this program will be an increase in the standards that your company upholds. Your clients will come to expect the best from you – which can easily set you apart as a leader in your industry. An incidence rate reduction program takes time and work. However, the benefits manifest themselves in a healthier workforce, improved client satisfaction, and in residual profit. The premise of this program is simply reducing the number of injuries to your staff. Before you start seeing the benefits of the IRRP program, it’s important that you first lay a foundation. It’s a corporate mindset that is designed to cultivate a culture of safety, awareness and empowerment. It’s important that your employees are given the necessary tools to feel empowered to take action and prevent potential injuries. As you read this, you’ll notice that we’re not asking you to change the fundamental core of your business. Instead, we’re making suggestions that may help you refine your operating procedures to keep employees safe, lower your workers’ compensation premium, and enable you to provide the best healthcare workers in your industry. The first, and arguably most important, step in establishing a world class IRRP is to bring the executive team on board with the idea that this is a long-term initiative. The tone must be set from the top. Without clear direction from executive leadership, the program will fail to take hold within the organization. Your executives need to engage in the planning of overall goals, objectives and performance measures that will create the core of your IRRP program. Just as important is praising those staff members who make progress, and holding accountable those that are not meeting the measure of the program. The term “incidence rate” is a statistical term that is used to show the relative level of injuries among different industries, firms, or operations within a single firm. To help you understand this, it needs to be broken down a little more. Your incidence rate will help you determine the progress your company is making in the prevention of work-related injuries. At the same time, these rates also highlight problem areas that you may need to focus on in order to continue preventing work-related injuries. In our experience as an insurance company, we have found that a bold multiyear incidence rate reduction goal has the most profound effect. There is always the temptation to take an incremental approach (such as reducing incidence rates by 10 percent over the next 12 months). However, to capture attention and embed a company in its quest to reduce the number of employees injured, a bold, long-term goal is much more effective. The very premise of a long-term goal implies that it must be broken down into smaller, more realistic steps. We will help you with that throughout the remainder of this guide. The exact goal and timeframe must be based on your company’s performance. It will most likely fall in the range of reducing your incidence rates by 33 percent to 66 percent or more over the next three to five years. It is not unusual to experience a 50 percent drop in the incidence rate in three years or less when this program is effectively implemented and supported by the executive management team. The following four facets work together to help you accomplish your goal. Implement them in their entirety – don’t skip any parts of this program. Each step is designed to work together to maximize your improvement and move you toward your goal of reducing injuries, saving money and enhancing patient care. Who a company hires has an important bearing on the possibility of future employee injuries, motor vehicle collisions, and potential liability claims related to patient care. Home healthcare employees work unsupervised with clients who may have significant physical and/or cognitive problems. In addition, home healthcare workers provide services in an environment they do not control. Given these two factors, the number one thing you can do to reduce injuries is to select the right members for your home healthcare staff. All applicants to your firm must be screened not only for skills and experience, but their ability to perform all functions of the job safely. In order to do this, your hiring staff must be trained specifically on screening methods that emphasize the ability to work safely. Job Description. It all begins with an accurate job description. Examine this area carefully and, before writing the description, think about how you can make the job as safe as possible. Job descriptions need to reflect realistic performance expectations. “Must be able to transfer clients to and from beds, baths, chairs, toilets, etc.,” is an unrealistic expectation. Caveats need to be added that reflect client assessments, home evaluations, transfer devices, and client physical and mental characteristics. In thinking about patient transfers, the best strategy is to eliminate the requirement to manually move clients without mechanical assistance. When you design it with the intention to make the job as safe as possible, the job description provides the foundation for your hiring process. Job Application. Prospective candidates for employment must be required to complete, sign and date a formal job application. This measure can go a long way in determining whether a candidate can follow directions thoroughly. Following directions thoroughly and accurately can go a long way to improve patient care and reduce incident rates in home healthcare. If the company provides pre-employment physical examinations or assessments, drug tests, post-offer, or other examinations, such as a written personality or behavioral test, the signature should also authorize the company to conduct these evaluations. Interview. The interview is your best opportunity to assess a prospective employee to ensure that you make a successful hire. Behavioral-based interviewing with situational questions is considered the foremost technique for conducting an effective interview. A detailed discussion of behavioral interviewing techniques is beyond the scope of this white paper, but Work First has learned that adding just a couple of behavioral-based, safety-related questions to your interview process will have the effect of focusing your staff on the company’s desire to have a safe workplace, and the applicant on their ability to work safely on the job assignment. Think about what you believe to be the most important safety rules in your work and tell me how you have gone about following them in the past? How have you handled a situation in which you saw a co-worker working in an unsafe manner? Criminal Background Check. Granting a caregiver access to a patient’s home often grants them access to personal valuables and financials, and this makes a criminal background check highly recommended. They are, in fact, a legal requirement in certain jurisdictions. A further benefit of background checks is that early reuturn to work assigments are easier to secure for those with a clean background. Reference and Skills Checks. In order to verify as much information from the job application or resume as you can, reference checks are critical. Many employers may be reluctant to discuss details about a candidate’s previous job. However, most previous employers will be happy to answer the following question honestly: Would you hire them again? Once you have the answer to that question, it is often easy to ask the follow-up question: Did they work safely? Drug Testing. It is of paramount importance that your company has a policy in place regarding drug-related impairments on the job. Define when and how employees are to be tested. Will you test them randomly, or will you test them if there is suspicion of drug use? Post-accident drug testing – including for alcohol – should be mandatory. Driving Skills. Automobile accidents are one of the top causes of injuries to home health workers. An evaluation of driving skills can be completed as easily as riding along in the passenger seat with a candidate, or as complex as requiring a defensive driving course. Most injury reduction plans focus on improving the place of work, but up to this point we have been focused on selecting the healthcare employee. We have ignored the actual job site – the home of the patient. This is intentional. Your company can control employee selection. You cannot control the worksite. You can try to influence the worksite but, ultimately, you can only control whether you’re willing to send your employees there. Despite the fact that you lack control, the decision as to whether you will service a location is absolutely critical. Thorough examinations of a patient’s current status, future needs, and what is required to promote safety for both patient and caregiver, is critical. The examination of the patient identifies and documents physical and psychological attributes that must be incorporated in the plan of care. When done correctly, these examinations provide a thorough plan that should integrate specific patient transfer and handling equipment such as Hoyer lifts, chair lifts, ergonomic devices,such as slip sheets or pivot discs, as well as instructions for the employee on how to manage psychological needs, such as dementia. Inspections of the home environment can reveal potential situations that can pose a hazard to both the caregiver and the patient. These needs must be integrated directly into the care plan for the patient, and these records must be updated on a regular and consistent basis as needed. The regular use of proper documentation practices in regards to formal care plans plays a key role in preventing injuries to home care workers and unnecessary lawsuits related to patient care. Accrediting organizations like the Joint Commission define and indicate what these examinations must include. Home health companies need to be willing to turn around and walk the other way if these requirements cannot be met because of financing or other reasons. The initial examination must include an examination of particular tasks required of the employee, and the mental and physical attributes and possible limitations of the patient. If it is possible, patient handling or transfers should not be completed without the assistance of mechanical devices. This must be a prerequisite for bariatric patients and patiens who have compelling physical or cognitive limitations that prevent or otherwise limit their capability to help with the transfer. It may prove challenging to obtain the necessary equipment, especially if money is lacking. As challenging as it may be, if the employee is at risk for injury, then a good rule of thumb is to assume that the patient is also at risk of permanent disability or death. In addition, hundreds of thousands of dollars in unncessesary medial bills can follow back strains, unnatural twising, and harmful falls. If equipment is required and cannot be reasonably obtained, the home health agency should reject the assignment. If ergonomic equipment is needed or required, vendors and procedures must be identified that can assist in appropriate selection, patient education requirements, inspection and maintenance. Home health care staff members must be properly trained in the use of such equipment, preferably managed by a physical therapist. The patient’s condition may change over time. It is crucial to observe these changes and act promptly and appropriately. It is important to note that appropriate and prompt action includes file notations and may demand physician notification of the changes to patient care instructions or equipment. Employees often come across home hazards that can pose a direct or indirect risk to the patient as well as themselves. This risk is compounded when an employee enters a home where housekeeping has been neglected, inhabitants smoke, pests such as rodents and insects can be found living in the home, spoiled food is lying around and other conditions are present. All of these conditions pose increased hazards to both the patient and the caregiver. If any of these risks are found during the initial examination, the agency must require that the identified risks be amended prior to instituting care. At the very least, methods to protect all workers in the home must be implemented if the risks cannot be remediated. There is a substantial exposure to danger for both the patient and the employee as represented by slip and fall hazards. Fall hazards are the most common injury source for patients subscribing to home health care, and come in second place for the most common injury source for home care employees. This hazard only increases when an employee is handing a patient, transfering a patient, assisting with mobility issues, or if the employee is physically carrying something – this includes groceries, trash, or even furniture. The presence of hamful diseases due to these types of infestations pose serious health threats to employees, and have resulted in substantial claims. Be aware of, and follow, any legal obligations for reporting these situations, and do not accept contracts where these conditions present a hazard to employees. Pets can be crucial to the health and general well-being of patients, but can also represent potential problems. One obvious problem can be a vicious or overly protective animal. These animals need to be secured or removed during service calls. Small, friendly pets have also been associated trips and falls, particularly during patient transfers. Since home health care workers do not control the environment they work in, it is often difficult to “engineer out” the potential sources of injury. Despite this fact, a physical inspection of potential worksites (homes) is critical to determine if you should accept the care assignment and, if so, what items must be remediated prior to your staff providing care. Home assessments can prove beneficial in identifying slip, trip and fall hazards, which we already identified as the second leading cause of injury. Further, these assessments should be conducted at every visit, at least informally. Large cracks or holes in the walkway. During the winter season, are the walkways clearly defined and safe to use? This must be spelled out in layman’s terms in the contract and a plan must be clearly defined for managing the situation if they are not (the employee may refuse to perform the work, carry equipment and materials to eliminate or reduce the risk, or possibly arrange for a third party to clear the path). Steps and stairs need to be in good condition. Examine the railings. Are they firmly anchored and secure? Ponding water can create dangerous accumulations of ice. Do workers need to walk through areas where this might be a hazard? If services are to be provided when it is dark outside, is lighting adequate from where they park to the doorway? A care plan and in-person home evaluation must be conducted for every patient and in every location before an employee is sent. There shouldn’t be any exceptions to this policy. It is not possible to accurately evaluate a home without having first seen it in person. To create an effective training plan, you must understand the key categories of loss types. In home healthcare, there are four key categories. Nursing is actually one of the more perilous occupations in the United States. As with home healthcare, the largest contributor to the overall danger is during activities wherein the patient is being transferred. Research in biomechanics establishes and supports the high levels of chronic and traumatic stress placed on the body during these activities. Based on instruction from leading researchers and think tanks, hospitals and nursing homes are moving to “zero lift” policies. Unfortunately, that luxury does not generally exist in home healthcare. Patient transfer responsibilities may be complicated by small spaces, confined areas and inaccessible areas of the home that are tough to navigate. 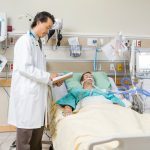 Employees are likely to run into situations where there aren’t any mechanical transfer devices and patients may desire to use their own beds instead of powered and/or adjustable hospital beds. Workers may be required to physically handle patients frequently to assist in daily activities of living, requiring a broad variety of physical postures. Patient sizes are on the rise and a larger percentage of the population is choosing to, or is being forced to, stay in their own homes. Patients may be combative, unstable, agitated or confused. In addition to patient transfers, the employee may assist with other daily living activities, such as cleaning, cooking, laundry and shopping. These activities can contribute to overall physical stress and, in some instances, may be more hazardous than patient handling. If a company is willing to accept the risk of physically handling patients, there must be parameters in place as to who will be handled and in what type of situations. Are there patients with particular physical or mental limitations or disabilities that the company does not wish to handle? What does “handle” mean? Precise and exact handling specifications should be thoughtfully documented in the patient’s care plan. Mechanical Lifts – Many different types of mechanical lifts exist and are dependent on the patient and the situational circumstances of the move. These include full body lifts, lifts to assist in moving the patient who has a degree of mobility, and ambulation lifts to help aid the patient while walking. Gait Belts – These are the most commonly used patient transfer mechanisms in the medical industry. In its most fundamental form, the belt is nothing more than a towel that is wrapped around the patient’s waist. More often than not, these belts are made of canvas. Transfer gait belts have a wider cut and incoporate handles on either side for easier handling. Trapeze Bars – A trapeze bar enables the patient to reach up and adjust their position in bed or to assist when they are being handled or transferred. Slip Sheets or Transfer Sheets – These sheets are often thin boards made from plastic or heavy cotton linens situated underneath the patient so that he/she can be slid horizontally. These sheets can also assist with the phsycal positioning of patients in chairs or beds. Pivot Discs – Several of the injuries suffered by healthcare personnel happen to the knees while transferring or handling patients from wheelchairs to/from beds, and wheelchairs to/from toilets. Shoes and special floor surfaces often work in conjuction with each other, which places limits on the employee’s the ability to pivot on a heel. When this happens a large amount of stress can be transferred to the knees. The pivot disk is often placed on the floor at the point of transfer, which enables easy pivoting and lowers the amount of stress on the lower back. The only engineering control listed here that eliminates physical stress altogether is the full body mechanical lift. Every other method places the home health worker at some degree of risk of injury, whether traumatic or cumulative over time. The next leading causes of injury to home care workers are slips, trips, and falls. They occur when employees are walking to the patient’s dwelling, when navigating through the home and most often while assisting the patient in one way or another. Since the employee does not have full control of the environment he/she works in, it can be tough to “engineer out” the likely sources of injury. As with patient handling and transfers, measures can be taken to manage and reduce the likelihood for injury. Refer to the section above regarding the Home Inspection for more on this topic. In any situation where someone drives on behalf of a company, there is an exposure for that company. 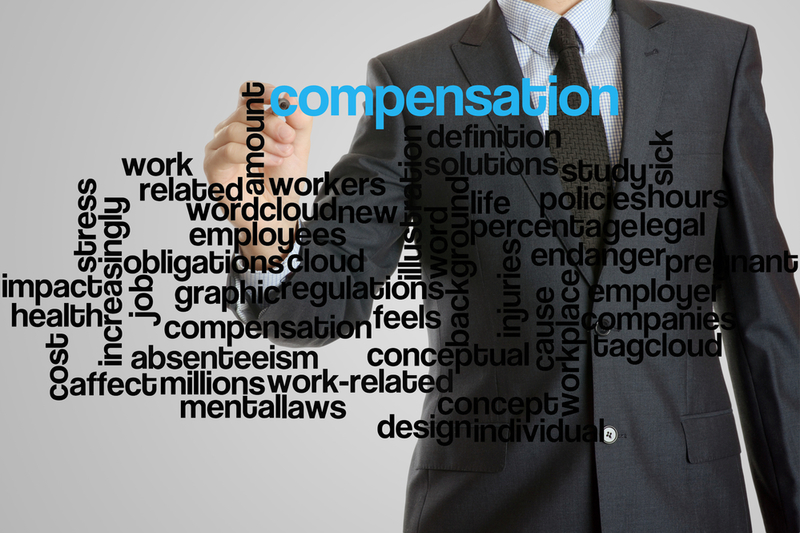 If the employee becomes involved in a collision, this exposure can lead to a workers’ compensation claim. Distinct rules and regulations concerning what does or does not qualify as being in the scope and course of employment vary from state to state, but most insurance companies will allow coverage on the condition that the employee is traveling directly from one appointment to the next. Every employee driving a vehicle for company business needs to receive authorization to do so. The company has a right to check motor vehicle records (“MVRs”) when an employee drives a vehicle for company business. The employee should have authorized the employer to check his/her driving record by signing the acknowledgement as part of the application process. MVRs need to be checked annually at a minimum. This is an inexpensive investment that can pay huge dividends by preventing the employment of someone with a history of dangerous or reckless driving. Establish guidelines for unacceptable driving records and when a review of privileges will be conducted, revoked or restricted (i.e. three tickets in three years, DUI/OWI convictions, etc.). Consider examining the employee’s automobile to ensure it is safe. Again, the importance of doing so increases significantly when transporting patients. Approximately 6 percent of healthcare employees experience a potential exposure to infectious disease annually, according to the World Health Organization. These numbers include almost 400,000 injuries from sharps every year to employees in hospitals alone in the U.S. Any use of needles, scissors, scalpels or handling bodily fluids exposes health care employees to over 20 different types of disease strains, including HIV and hepatitis B&C. Although some of these strains pose a higher danger than others for transferring (up to 10 percent for HCV from a single needle stick), any exposure carries a danger. For some medication that requires injection, the medicine or the device itself can be dangerous to the employee if they accidentally stick themselves and break skin. In home health care, even when medicine administration by injections or other tasks exposing the employee to bodily fluids is not provided by the employee, exposure may still present a danger in cases where the patient self-administers drugs or when handling laundry, trash, or patient care equipment that gets soiled. The risk of injury due to sharps can be reduced through the utilization of safety-equipped injection devices, training and education, and alternative ways of administering medication. Educate employees about the dangers of potential punctures and blood borne pathogens. Training should include how to prevent punctures, reporting when they occur, and describing what happens after an exposure. Vaccinate employees against threats they are exposed to, such as hepatitis B (HBV). Establish and use sharps safe handling and disposal protocols, following the CDC “One and Only” campaign. Following universal precautions for every patient. As outlined by the CDC, treat all blood, bodily fluids, secretions, excretions (except sweat), non-intact skin and mucous membranes as if they contain infectious agents. Use appropriate personal protective equipment such as gloves and masks, gowns, and eye protection, depending on the exposure, and rigidly follow hand hygiene practices. Soiled patient care equipment – wear gloves if visibly contaminated and follow proper hand hygiene practices. Laundry – handle to prevent the transfer of any microorganisms to others and the environment. Patient resuscitation – use a ventilation device to prevent contact with oral secretions. Coughing and sneezing – instruct employees to cover their mouth, dispose of tissues in a no-touch container, wash hands, maintain a 3’ or greater separation, and wear a mask if tolerated. The safety training that should be performed should be based on the job description your staff prepared prior to the hiring of a caregiver. This is one of the primary reasons why your job descriptions must be thorough, accurate and comprehensive. 5. Violence Prevention and Control. Future accidents may be avoided by developing an understanding of the cause of an accident. When your staff takes time away from business activities, it shows your company’s commitment to creating a safe work environment for all employees and helps to focus internal staff on the importance of the steps outlined in this document. The scope of the claim can be fully understood and can often be limited when information is gathered promptly. It can also be used to defend the claim if its validity is doubted. It is critical for your company to institute a requirement that an on-site accident investigation is conducted on all workplace injuries. Someone from your administrative team, and ideally your risk/safety manager, should complete the accident investigation. It is important for the person orchestrating the accident investigation to include your hiring team and those responsible for care plans and home evaluations in the distribution and discussion of the completed accident investigation. They’re in the best position to influence change among the care providers to avoid similar mistakes in the future. The accident investigation should occur on the date of the incident. If that is not possible, in no event should the investigation occur more than 24 hours from the time the injury is reported. Transfer or eliminate the risk. Engineer the problem out; add or replace transfer equipment, add a handrail, etc. Take administrative action. Implement more training, new procedures, etc. Clear responsibility must be assigned for implementing corrections (by a specified date) and reporting when the analysis is completed. To assist in performing comprehensive accident investigations, included in the appendix to this guide, are links to Work First’s complete Incident/Accident Investigation Program for Home Healthcare. A home healthcare company has a significant amount of control over preventing injuries and keeping their employees safe. Further, by reducing the number of injuries to your employees, you will lower your experience modifier, which, in turn, will reduce your workers’ compensation insurance premium. There is no real secret to reducing your incidence rate – it just requires a degree of discipline to follow the practices outlined in this document. The implementation of this program will virtually guarantee happier and healthier employees, improve patient satisfaction, and reduce the cost of your workers’ compensation program. Ultimately, you will be more profitable in multiple ways. Work First believes, “Insurance is simply a vehicle – our real business is delivering solutions designed to improve the operations of our insureds.” One of the ways we improve the operations of our insureds is to assist them in reducing injuries and therefore reducing their cost of workers’ compensation insurance. More than simply selling a financial product we strive to be in the business of relationships. Work First is one of the few insurance companies focused on providing workers’ compensation insurance to the home healthcare industry. Work First is licensed in 40 states and offers both guaranteed cost policies and flexible deductibles from $2,500 up to $75,000, enabling a high degree of customization for you to fine-tune your policy to match the needs of your healthcare company. To learn more about Work First or our Incidence Rate Reduction Program, please contact me. Hi, I’m Bruce Winterrowd, and you can reach me at (630) 416-7594 or by email at bwinterrowd@workfirstcasualty.com.